The dance of the fireflies. 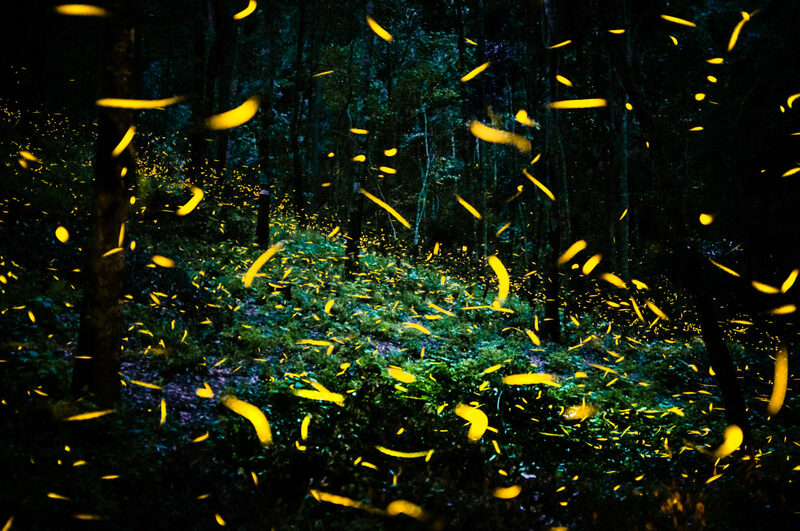 Every year between June and August, in the area of Nanacamilpa Tlaxcala, Mexico, takes place one of the greatest spectacles of nature, sighting and mating for the fireflies. The conifer forests, characteristic of the area, light up at nightfall thanks to the caracteristic bio luminescence of the spicies , millions of fireflies, also called "bug light" dance through the brush, logs and meadows giving way to intermitent flashes of a neon yellow color light that mesmerizes all. The weather conditions coupled with the own flora, are suitable for fireflies to lay their eggs in the tree barks and in the give us the opportunity to admire this magnific and awesome show.